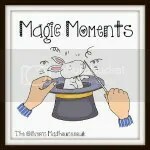 This entry was posted in kids, magic moments, motherhood, parenting and tagged kids, magic moments, motherhood, parenting by little poppits. Bookmark the permalink. Gorgeous shots Teresa!! I can’t wait to get to the beach!! 🙂 so lucky ; enjoy the beach! your pictures are very nice too! Yey for a beautiful spring day and family fun at the beach! 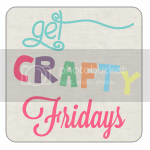 Popping over from Magic Moments and would love you to join me on my Country Kids linky too. All about outdoor fun each week. Those pictures are great! They look so carefree and happy! The girls and I LOVE the ocean, but it`s so far away from us… sigh! The beach is always magical, in my opinion. 🙂 Super cute pics!!! Lovely pictures! Looks like a fun time. I am a teensy bit envious of you being so close to the sea. We’ll have to wait until the summer for our visit, when no doubt the sun will have vanished!